Wise Owl’s Antioxidant Capsules contain all the major antioxidant vitamins & minerals, along with Coenzyme Q10, an integral part of energy metabolism. This is a natural, food state supplement providing optimal absorption. 2 capsules taken once a day should give you around 1 month supply. Wise Owl Food State Antioxidant + Coenzyme Q10 is specially formulated to help protect against harmful free radicals. It contains all of the major antioxidant vitamins & minerals plus Coenzyme Q10, a substance that is found naturally in the body which helps convert food into energy. This is a food state supplement made from whole food, which gives superior absorption & utilisation. This supplement contains good levels of Selenium, Zinc, Vitamin C & Vitamin E. It can also be used in conjunction with other multivitamin & mineral formulae to significantly elevate antioxidant nutrient levels. 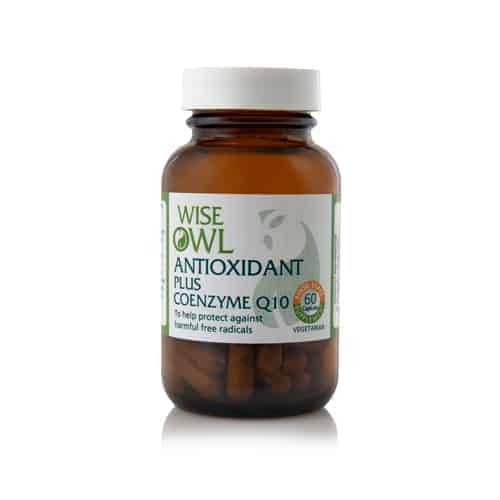 Wise Owl Food State Antioxidant + Coenzyme Q10 is specially formulated to help protect against harmful free radicals. 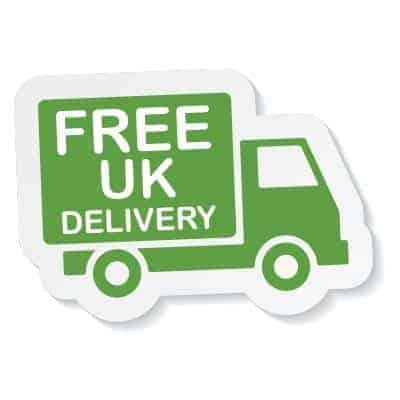 It contains all of the major antioxidant vitamins and minerals plus Coenzyme Q10, a substance that is found naturally in the body which helps convert food into energy. Antioxidants are any substance or substances that may prevent or impede cell oxidation (destruction) by free radicals. This supplement contains good levels of Selenium, Zinc, Vitamin C and Vitamin E.
Uses vitamins and minerals combined in a whole food matrix give superior absorption and utilisation. An excellent multivitamin and mineral antioxidant supplement for short or long term use. This supplement can also be used in conjunction with other multivitamin and mineral formulae to significantly elevate antioxidant nutrient levels. Co-enzyme Q10 is used as an integral part of energy metabolism inside our cells. Recommended Intake: Two capsules daily as a food supplement or as directed by a practitioner. Product Ingredients: Vitamin C and bioflavonoids incorporated in citrus pulp; vitamin E combined in yellow pea; beta carotene combined in carrot concentrate; lactobacillus bulgaricus providing zinc; yeast* concentrate providing selenium, coenzyme Q10; capsule shell: vegetable cellulose.